Singer Lutan Fyah is the epitome of perseverance. After years of toil in the dancehall where he built an underground following, the diminutive vocalist is on the brink of a major breakthrough. Lutan is keen to emulate Dennis Brown and Garnet Silk, two of the singers he grew up listening to, by not only singing hard‐hitting message songs, but making commercial sounds that will introduce him to the mainstream. "Getting that hit song is important to every artiste. I always sing as an artiste but its time I start singing for the radio," he said. At the start of 2009, San Francisco's 2B1 Records released Africa, a double disc, 30‐song album by the prolific singer. It includes songs like De La Vega, Save the Juvenile and Outa Line, which are largely familiar to a sound system audience around the world. It was released three years after Phantom War, an impressive compilation of songs distributed by Britain's Greensleeves Records. Recently, Lutan inked a management deal with Prestige Artists Entertainment, a management and booking company headed by Lukes Morgan, guitarist for leading roots act Morgan Heritage. "I don't see Lutan as an average artiste. What really grabs me about him is his singjay‐style, melodies and lyrical content" said Lukes. Dub poet/social commentator Mutabaruka says he is taken with Lutan's stance to sing from the heart despite the material trappings of the music business. "(The fact that he said) We are going to call an album Africa. Nothing else. That is saying a lot," Muta said at the Kingston launch for Africa. Lutan Fyah was born Anthony Martin in Portmore, a sprawling housing community in Jamaica's St. Catherine parish. He has strong roots in Spanish Town, once the capital of the Caribbean country and stomping ground for big names like Lieutenant Stitchie, Papa San and San's late brother Dirtsman. In fact, he remembers as a youth listening to San and Dirtsman performing at dances on his grandfather's Black Iniverse sound system in Thompson Pen, a community in Spanish Town. Watching them up‐close inspired his career path. After giving up a promising football career due to persistent injury, Anthony Martin morphed into Lutan Fyah. Among his best‐known early songs was There Is No Peace in Spanish Town, a catchy take on The Drifters' classic Spanish Harlem, which dealt with gang violence in Spanish Town. Lutan says it is difficult to escape the culture of crime that has dominated the 'old capital' for over 10 years. "Spanish Town is a kind of garrison where every man is a suspect. To keep yourself with the vibes you have to walk a chalk line," he said. 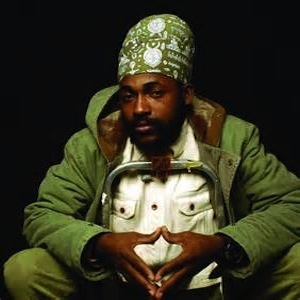 Through regular tours, Lutan Fyah has made a name for himself in Europe where there has long been an appreciation for roots‐reggae acts like Burning Spear, Culture and the Mighty Diamonds. But after nearly a decade of looking in from the underground, he is ready to blaze a trail in the mainstream.